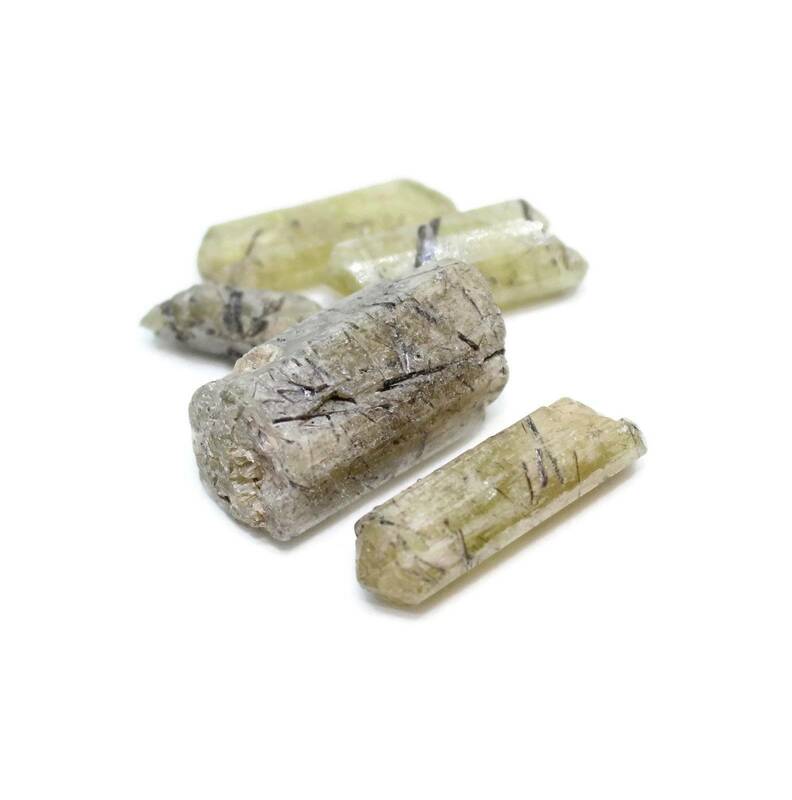 Gorgeous little pieces of rutilated green Apatite – incredibly rare specimens measuring between 15 and 35MM approximately. 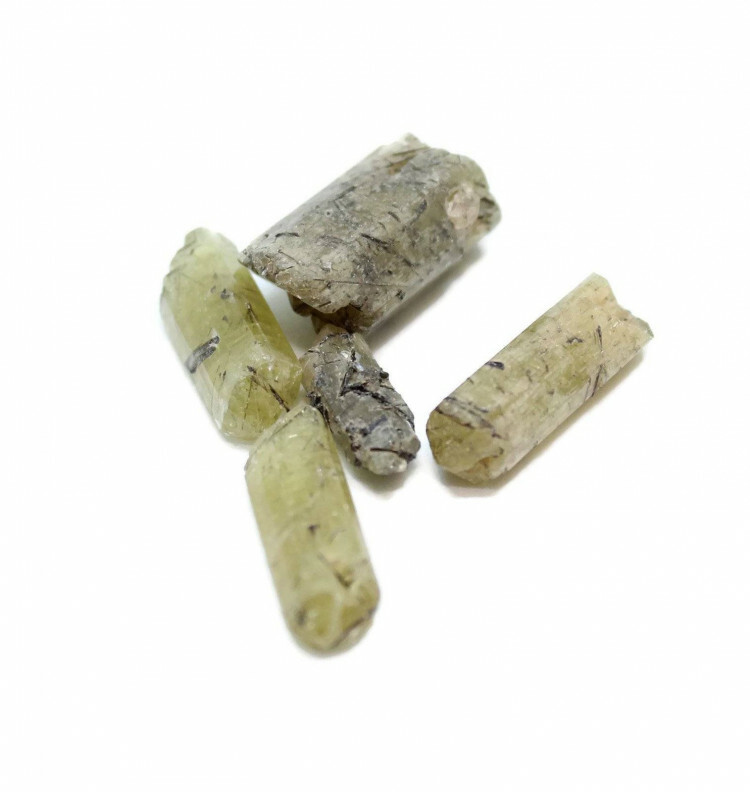 Gorgeous little specimens of rutilated green Apatite. These are found in Morocco and are rarer than hens teeth! These pieces have a great shape and measure 15-35MM approximately from end to end. They are a nice clearish shade of green and could maybe be polished. 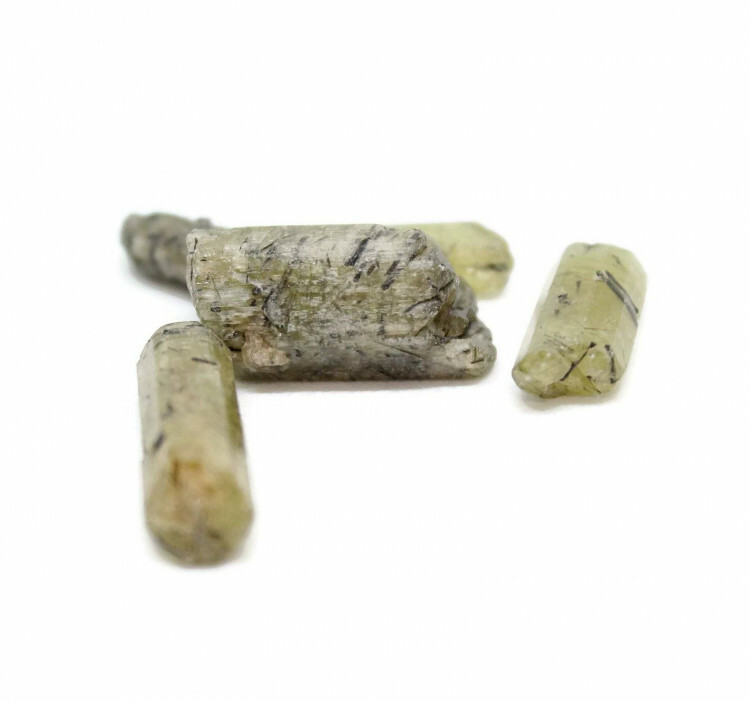 The rutile needles contained within are typically dark and usually quite thin, which gives an interesting contrast. Because they are internal, it is difficult to tell what these inclusions are. 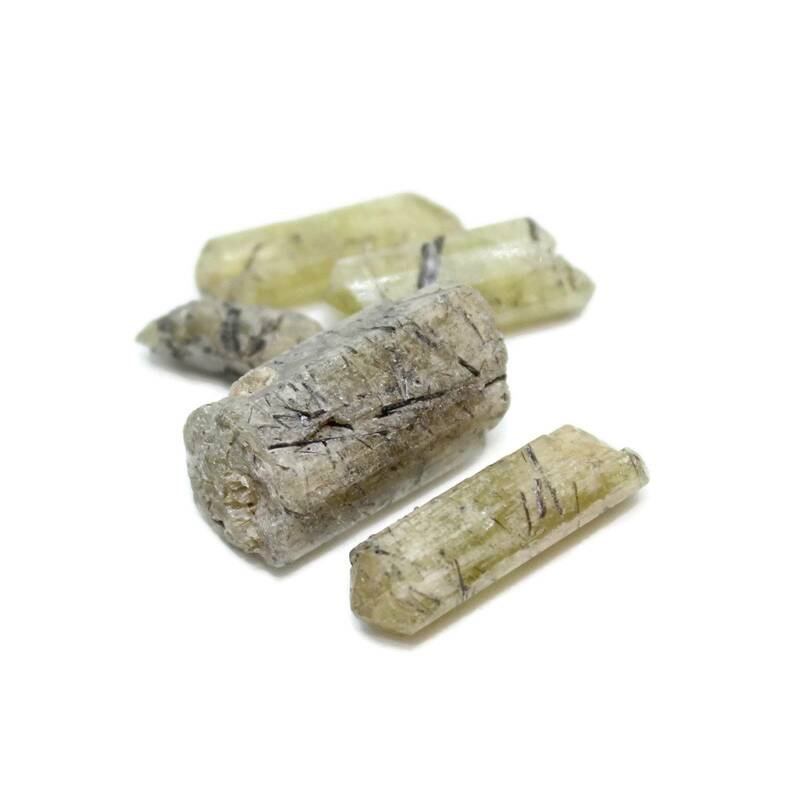 They may be Tourmaline, Actinolite, Aegirine, or black Rutile, we can’t say for sure unfortunately. For more information about Apatite, and a full list of all our related products, please see our main ‘Apatite’ section.